Despite the current movie trend, female superheroes are not a new thing. Southwest Florida has been enjoying super-duo Taylor Taylor for decades and is unlikely to ever stop. 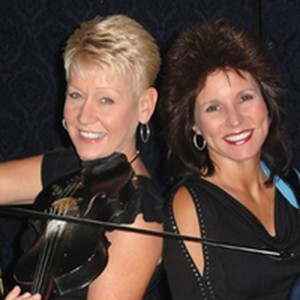 Glenda Taylor and Dee Wilson have played thousands of gigs on their own as well as backing and opening many a show for bigs like Merle Haggard, Atlanta, Charlie McCoy and Jeannie Pruitt. They’ve also got three Canadian tours … from Ontario to Victoria … under their belts, plus one in Singapore (under their expanded band name of Dixie Rose). Not all duos are created equal; some consist of two people playing two instruments at most. Taylor Taylor has such an expanded version of what is normally thought of as a duo that we almost need another name for them. They have expertise on several instruments beyond the basic guitar; bass, sax, harmonica, keyboards, fiddle and banjo. Not only does this open up a lot more opportunities for gigs, but it allows them to play pretty much whatever the crowd or venue calls for and they love it all. And they need a wide repertoire because they entertain a huge local following and have for years. What’s funny is that everything they do they do so well, that if fans were to exchange notes as to what kind of music they do, they might think they’re not talking about the same people. (“Is there more than one Taylor Taylor in town?”) Their enthusiasm for everything they sing and play is what makes it so enjoyable for the audience. They’re just a happy, upbeat couple of beautiful women who really enjoy singing, playing and entertaining in whatever style the audience may call for, and that comes through. They also played together through the phase where bands routinely worked five or six nights a week in the lounges of the various hotel chains throughout the nation. Luckily they not only play a variety of instruments but both have beautiful voices. This comes in handy on long gigs where you perform several nights in a row because in addition to their excellent harmonies, they can take turns singing lead and “spell” each other for a few minutes. Appreciative of the good gigs they’ve earned through the years, Taylor Taylor forms strong friendships not only with fans but with the owners and staff members of the clubs and other venues they play. They were recently honored to perform for the retirement party a cook at the Casey Key Fish House, and couldn’t say enough good things about the experience and the restaurant. Glenda goes on with enthusiasm about this venue, obviously a favorite, where they’ve played frequently over the past year and will be performing again on Saturday, April 20, from 4 to 8 p.m.
A unique, “Old Florida” style place, they’re welcoming to the whole family and have a menu that’s sure to please anyone. Despite the name, they offer a wide variety of items in addition to seafood. Along with the great food and friendly service, you’ll find a variety of forms of entertainment. You can just sit and enjoy the waterfront view (Note: EXCELLENT sunsets) from the dining room over the Bay… where every seat has a waterfront view … or from the Tiki Hut. You can even be a part of the scene by renting a kayak, paddle board, boat or jet-ski. Or BYOB …in this case that stands for “Bring Your Own Boat,” and just put in at Dockage Marker 32. 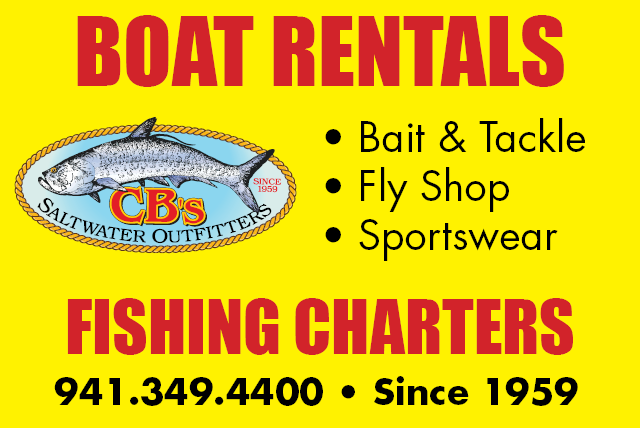 Casey Key Fish House is located in Osprey, Florida at 801 Blackburn Point Road, 34299, next to the historic Blackburn Point Swing Bridge. If arriving by boat, look for Dockage Marker 32.